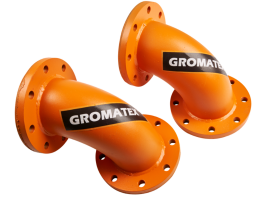 Gromatex products are designed and manufactured to provide a long lasting but simple solution to containing and transporting abrasive fluids. 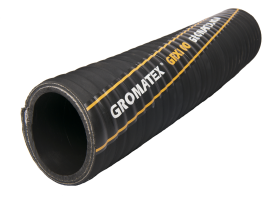 A focus on heavy duty, abrasion resistant rubber and elastomer materials for pipework, coupled with a unique modular concept, the Gromatex range brings a whole new experience to the market. 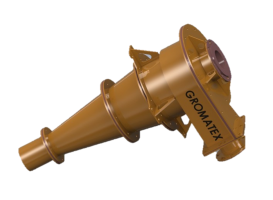 Tried and tested in the harshest applications across the quarrying and mining industries internationally, Gromatex products have a reputation for being a cost effective solution to the challenge of moving abrasive fluids. Among the heavy duty rubber lined products in-cluded in this range are flexible hose, pipework (such as bends, tees and other similar parts) and hydro-cyclones – all long lasting, simple products designed to contain abrasive fluids. One of the key points of the range is the simplicity for the end user across all the products, from the design aspect to the fact that all common sizes are available in stock. Modular construction means the places that have the most wear can get the best attention. Ultimately our aim is to reduce our customer’s maintenance and downtime anxiety and this drives us on to create ever tougher and more resilient products. 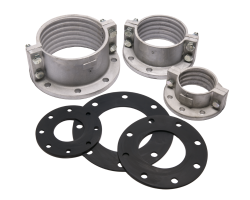 Easy to specify and order from stock, designed to resist abrasive fluids for longer and flexible but strong. Gromatex - containing your abrasive fluids. Easy.